The trend for replacing a designer handbag each season has become a thing of the past. This exclusive range for Apple by Marshall Bergman is a collection of sleek minimalist designs with inspiration taken from strong architectural forms, to create clean, uncomplicated bags. This pioneering accessory range combines understated luxury with a thoroughly modern 'First lady of cool' look. The two Marshall Bergman handbag designs in the range are both made from premium Italian leather.. the 'Tahlia' - an elegant shoulder bag (pictured) or the slightly larger 'Alyssa'. Both styles come with quilted internal pockets designed to protect and fit whatever laptop you are carrying. For men, the 'Theo' and 'Corbin' messenger bag styles come with adjustable straps and a multitude of pockets in choices of black or brown leather or khaki canvas. The Marshall Bergman brand is a fascinating story of old meets new. Co-founder Suzi Bergman's great grandmother Sarak Bergman founded her workshop in Ludwigshafen Germany in 1890. A maker of utilitarian bags, Bergman foresaw a need for a functional bag that carried household grocery items and tools. This was continued by her son Isaac Bergman, a shoe maker in the early 1920's. Marshall Bergman's premier collection combines handsome classic styling with beautifully designed functional interiors. 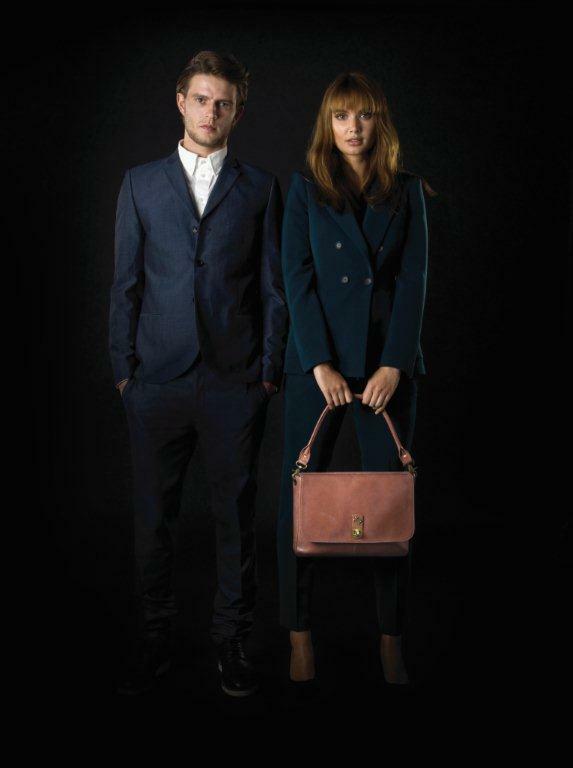 Every Marshall Bergman bag is beautiful enough to use as your handbag and perfect for your work essentials. The bags are made from the finest materials and crafted to the highest standards. This press release was distributed by ResponseSource Press Release Wire on behalf of Claire Norrish PR in the following categories: Men's Interest, Leisure & Hobbies, Women's Interest & Beauty, Consumer Technology, Business & Finance, Travel, Retail & Fashion, Computing & Telecoms, for more information visit https://pressreleasewire.responsesource.com/about.